*This blog post is sponsored by Maytag​®, but all opinions and thoughts are my own. With the beginning of another new year, many of us look forward to making some positive changes in our lives. I always have a few goals that I look forward to working towards, and it seems like they always involve my cleaning routine and getting more organized. With seven people living in our home, it can get pretty messy at times. Over the years, we have tried a few things here and there that didn’t really work for us; but in the process, we have found some cleaning and organization tips and tricks that work for us in the long run. With it being a new year, I like to establish new family routines. 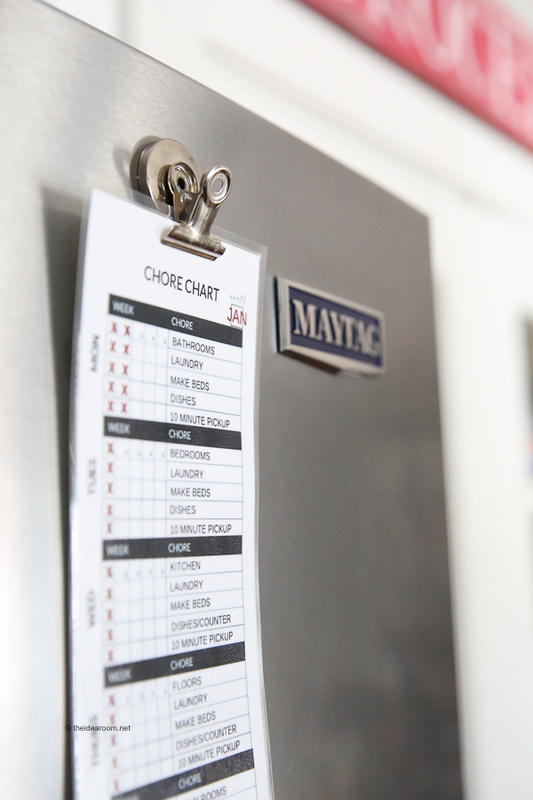 I came up with a printable monthly chore chart to help us keep on task as a family. I share it at the bottom of the post. You can use ours or create your own. Over the years I have found that if I follow these 10 tips…EVERYDAY…then my house stays clean all week long! If you are diligent in keeping up with these simple tips and establishing a daily cleaning routine, then your home will be cleaner…and who doesn’t want a clean home? 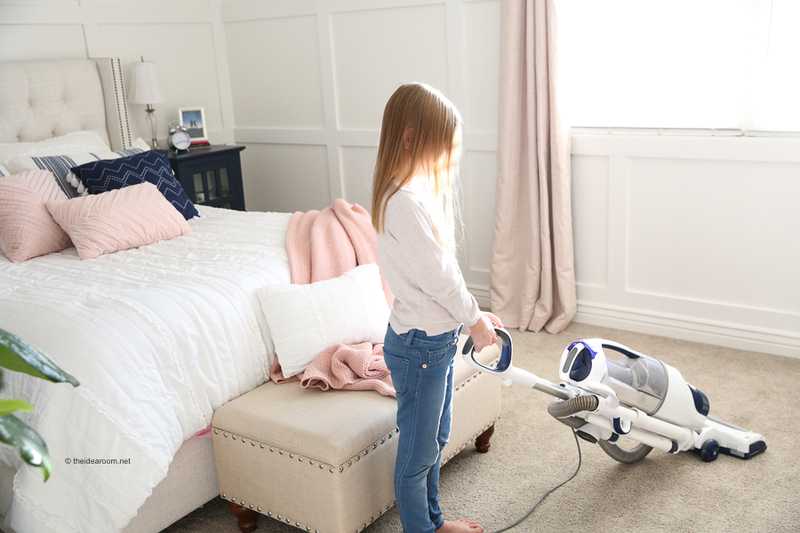 I understand how hard it can be to keep up with the kids and their messes after a long day, but these tips only take about a half an hour a day if you commit to doing them every day! Do your dishes after every meal. ​Staying on top of your dishes makes a huge difference in keeping your home clean. If you don’t have time to do the dishes, simply clear them from the countertop and place them in the sink if possible. This will immediately help your kitchen feel cleaner. If you have a dishwasher, empty the clean dishes as soon as it is finished. Then your family will be able to put their dirty dishes in the dishwasher and they will be hidden away until you are ready to run a load of dishes. We are loving our new Maytag dishwasher​ and its PowerBlast® cycle, which removes stuck-on food with high pressure spray jets, increased temperature and hot steam. It makes cleaning up so much more efficient. We can also run a load of dishes in an hour, which is important when you have a lot of mouths to feed. 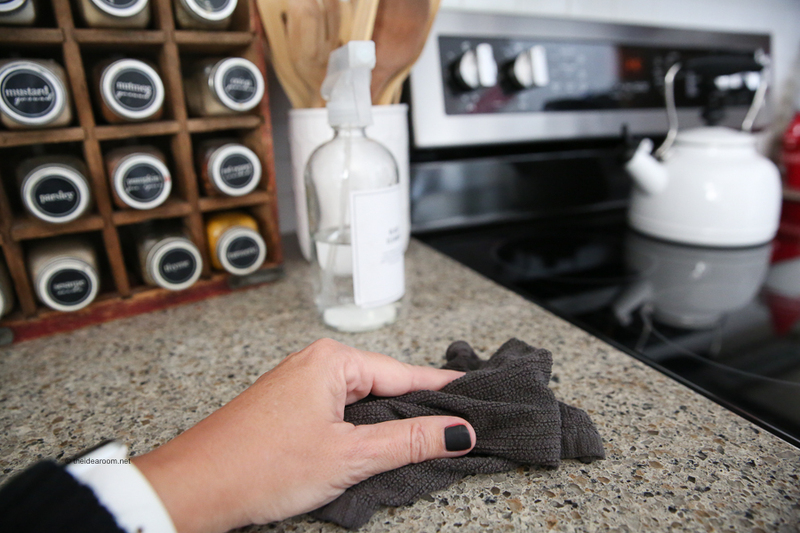 Clear and wipe down the countertops after every meal. ​This is an important step to do at least once a day. If possible, try to do this after each meal. This literally takes just a few minutes a day and makes a big difference. I try to have the kids help after every meal. No one can leave until the dishes, utensils, etc. are all picked up and put away. With everyone helping, this takes just minutes. Do a load of laundry every day. 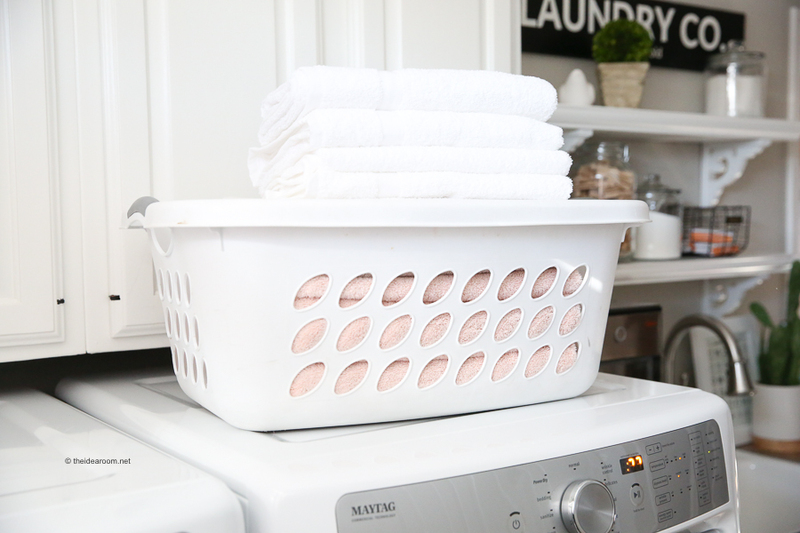 ​Doing a load of laundry every day is a great way to stay on top of your laundry. You can break it up and do whites one day, and then darks, colors, sheets and towels on the other days. Or you can break it up into individual people so that mom has one day, dad has another day, etc. Whatever you prefer, make sure you run a load a day to stay on top of it. When the laundry is dry fold it immediately and put it away. This will keep your bedroom or the family room free of piles of laundry. It will also make it so you don’t get wrinkled clothes that need ironing saving you a lot of work…or a re-wash. Our new Maytag ​washer​ and ​dryer​ can keep up with our busy family and the large amount of laundry we wash and dry every week. Make the beds every day. 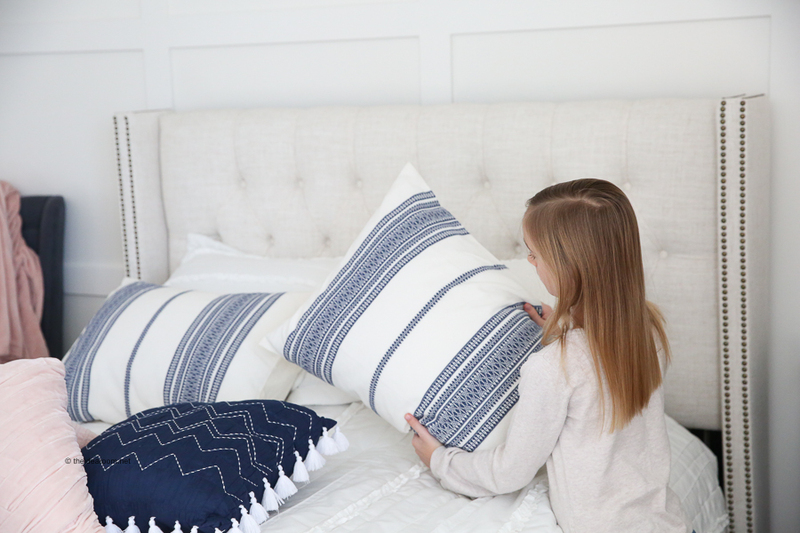 ​When you make your bed first thing in the morning it can set the tone for a productive day. There have been multiple studies about people who make their bed every day and how it really does set the tone for feeling accomplished. A made bed also makes the overall room look cleaner. The large surface of a neat bed can give the overall feeling of a clean room even if there is a little clutter around the room. Take out the trash. ​For an overall clean look in your house take out the trash. Nothing is more telling than an overflowing trash can or trash littered around the floor. Quickly sweep through the house with a large garbage bag and quickly pick up the trash and empty the trash cans from the kitchen and the rooms and take out to the outdoor trash. Do a 10-minute pick up. ​Take 10 minutes and go around the house with a basket. Pick up everything and set it in the basket and put it away from room to room. Anything left in the basket after 10 minutes can be set aside or put away if time allows. Wipe down bathroom counter. ​I like to wipe off the bathroom counter after I finish getting ready and am brushing my teeth. This will help it stay cleaner until you can do a more thorough cleaning of the bathroom. Clear out any junk mail or paper clutter. ​Paper and junk mail can quickly clutter a desk or an area that tends to be the catch all area in your home. Quickly sort through and recycle paper that is not needed. Have a file you can quickly store items in that need to be sorted later. Get the whole family involved. ​When I am overwhelmed, or we have a lot going on, the house can quickly fall apart. Have the whole family help out where needed. It’s amazing how fast 7 people can get a house clean or picked up when we all work together. Sweep the floor or vacuum. ​Do a quick sweep or vacuum in the busiest areas. If you don’t have time to pull them out, you can do a quick scan of the floor and do a spot clean up or a spot wipe up. 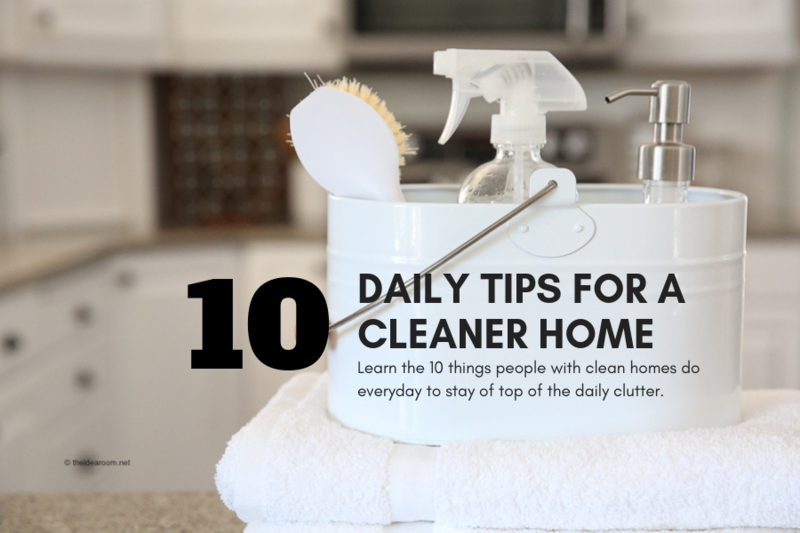 You may not have the time to do all 10 of these everyday but if you get in the habit of taking a few minutes each day to spend some time cleaning and picking up your home, you will find your house will stay cleaner and look better. 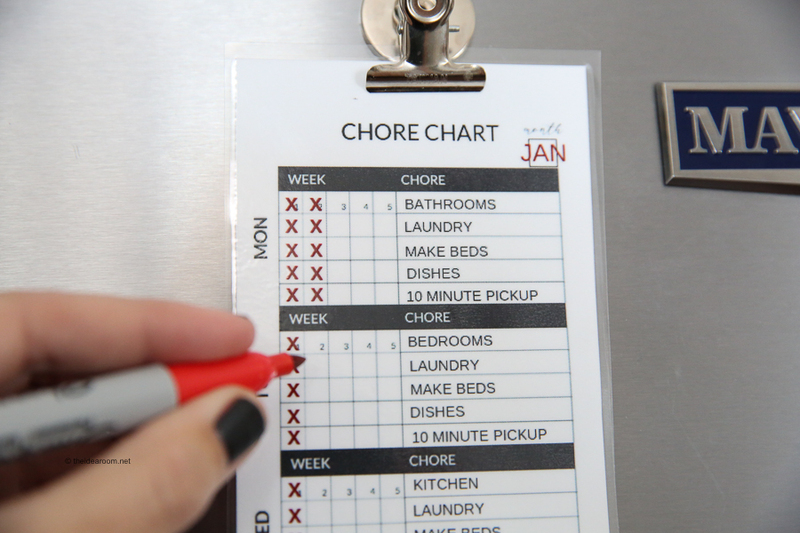 On top of the 10 daily habits, it’s good to develop a weekly cleaning schedule so that the deeper cleaning can be done in and around your home. I created a schedule that works for us in our home and wanted to share it with you. I like to print it out and then laminate it so that it can be used over and over again. We have it hanging on the fridge so everyone knows the schedule. On Mondays we clean the bathrooms. The kids are responsible for getting theirs clean on Monday as are my husband and I. We rotate what day someone loads and unloads the dishwasher. Everyone is responsible to make their own beds daily. The kids don’t get any screen or friend time until their daily chores are completed. The kids also have a set day to do their own laundry. I also created a blank version, so you could fill it out to fit your own cleaning schedule if you want a different rotation than our schedule. To grab them, click on the links below. I hope these tips have been helpful for you as you create a new routine for your new year! 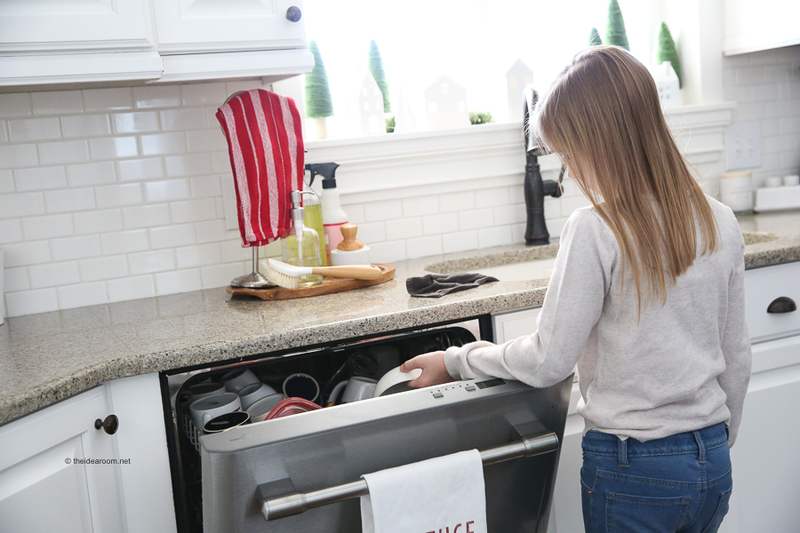 If you need some new appliances to help you achieve your cleaning goals, be sure to check out our favorite ​Maytag appliances​. 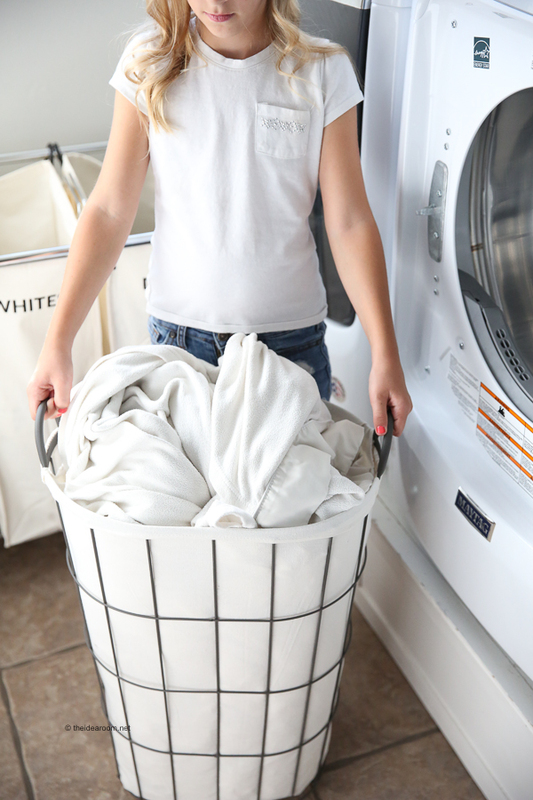 You can check out Maytag’s ​washers​ and ​dryers​ to discover which one will work best for you and your family. Thank you for the reminder, especially this time of year. It seems like cleaning up the simple things make the biggest difference! This I can do!! You are welcome! Its amazing the difference I have seen in my home when I do just a little bit each day! I need these tips!! Thanks for sharing them! Now, if everyone at home could just leave after I clean! Esmay- I love this so much. We are so much alike!